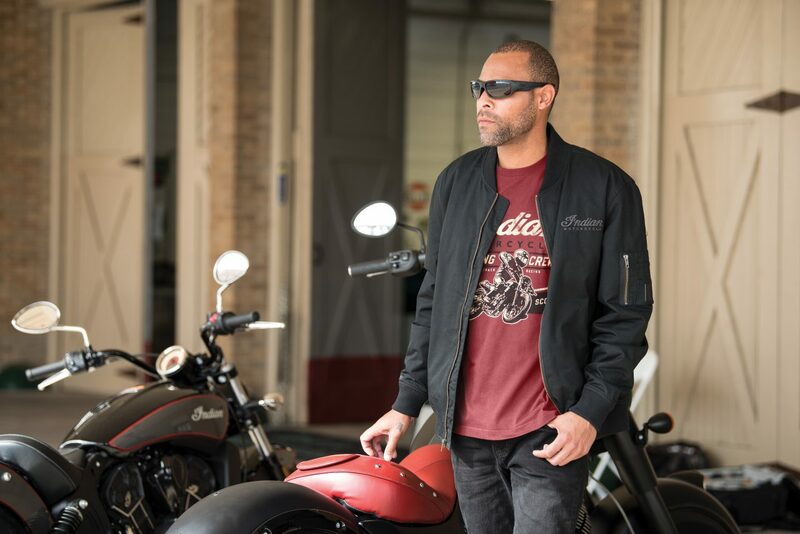 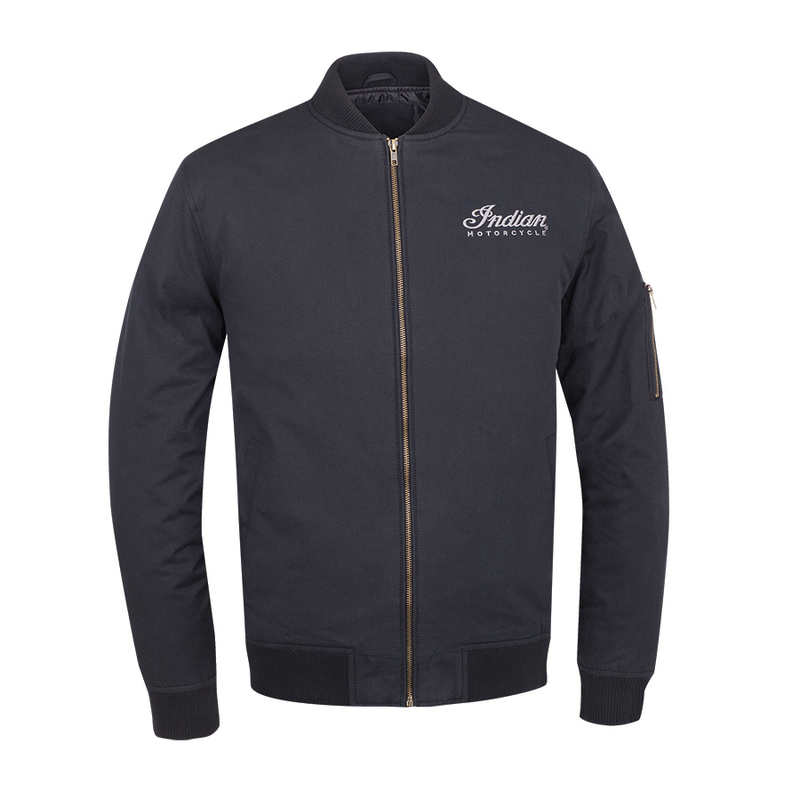 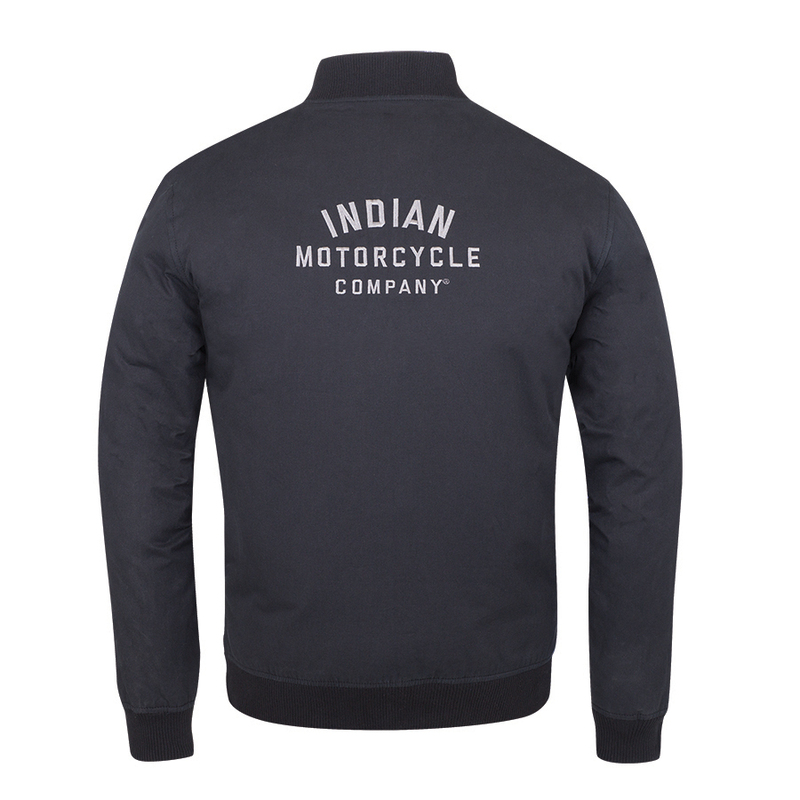 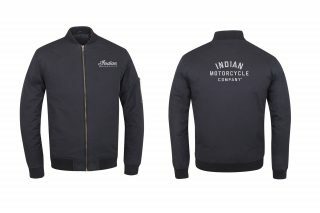 Bomber jackets are in fashion at the moment and this one from Indian comes with logo branding on the back. 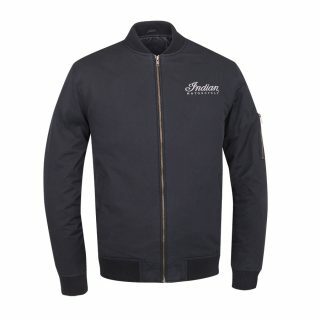 The outer material is cotton, the wadding is polyester and the lining is nylon. 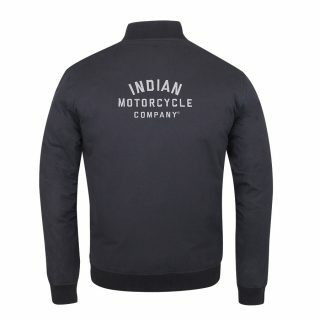 There are three exterior and two interior pockets, a rib knit collar, cuffs and hem, snap-close waist pockets and antique brass zips.